Courtesy of Intérieur Sport, France. One of the most versatile open water swimmers at the elite level is France's Alex Reymond. Reymond, coached by Magali Merino, is heading to the 2017 FINA World Championships in Hungary's Lake Balaton this summer, looking forward to improving on his finishes at the 2015 FINA World Championships in Kazan, Russia. In Kazan, Reymond finished fourth in the 25 km, 12th in the 10 km, and 22nd in the 5 km in one of the busiest schedules at the world championships. 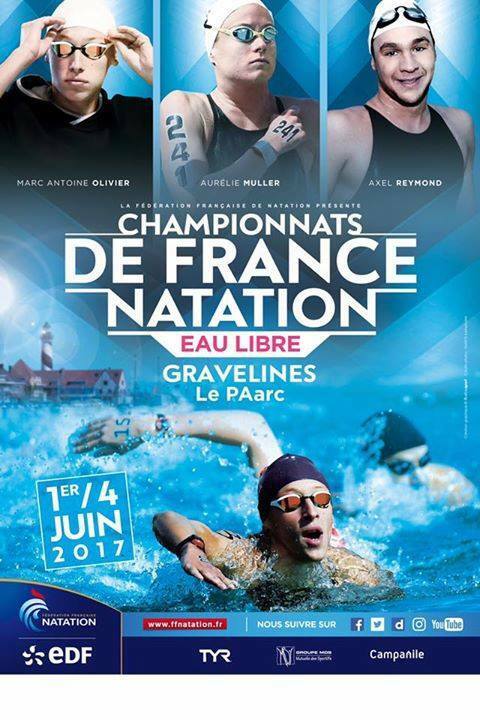 The French national open water swimming championships will be held from June 1st to 4th where Reymond will face Marc-Antoine Olivier who won a bronze medal at the 2016 Rio Olympic 10K Marathon Swim.